Skoda Auto has taken the charge for Volkswagen Group’s INDIA 2.0 project after more than 18 months of working on it strategically. With investment of 1 billion euros (around Rs. 8,000 crore) between 2019 and 2021, the Czech automaker is planning a major onslaught for its own goodness and that of Volkswagen. The initial promises are more than satisfying as around 4,000-5,000 new jobs are expected to be created in the coming years. Skoda is trying to build a strong base for long-term profitability and therefore the upcoming products are based on the MQB A0 IN platform – a less expensive architecture of the flexible MQB the VW Group products are based on globally. With India being the fourth largest automobile market in the world, Skoda has understood the significance of pricing the vehicles competitively – a major hurdle it is currently facing – through the new platform which will be shared with Volkswagen brand. Moreover, the volume-based platform ensures standardised components, production processes and dimensions. Under INDIA 2.0, the first MQB A0 IN based Skoda vehicle had already confirmed to be a SUV. 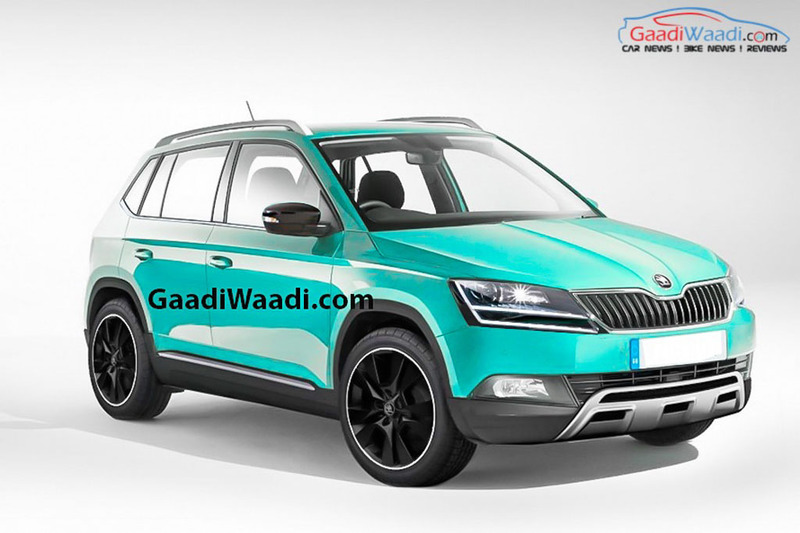 Expected to rival the likes of Hyundai Creta, and the soon-arriving compact rivals from Tata, Kia and MG, the Skoda SUV will more likely take design cues from smallest SUV in the global lineup Karoq and our rendering depicts just that. Scheduled for market entry in 2020, it is expected to use small capacity turbocharged petrol and diesel engines from the overseas portfolio – perhaps 1.5-litre TSI and 1.6-litre TDI with drive modes. Moreover, six-speed manual as well as an optional DSG could be offered with front-wheel-drive configuration as standard. Skoda could pursue an AWD system to go as far as rivalling Jeep Compass. Volkswagen’s international SUV range is constantly on the expansion spree, and a reengineered version of Skoda’s compact SUV is highly likely. 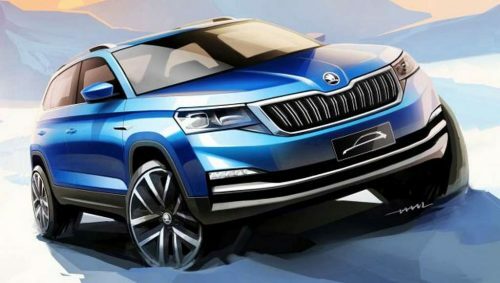 From the early parts of next decade, Skoda and Volkswagen would launch two products every year to capitalise the mainstream success of its volume-based competitors.